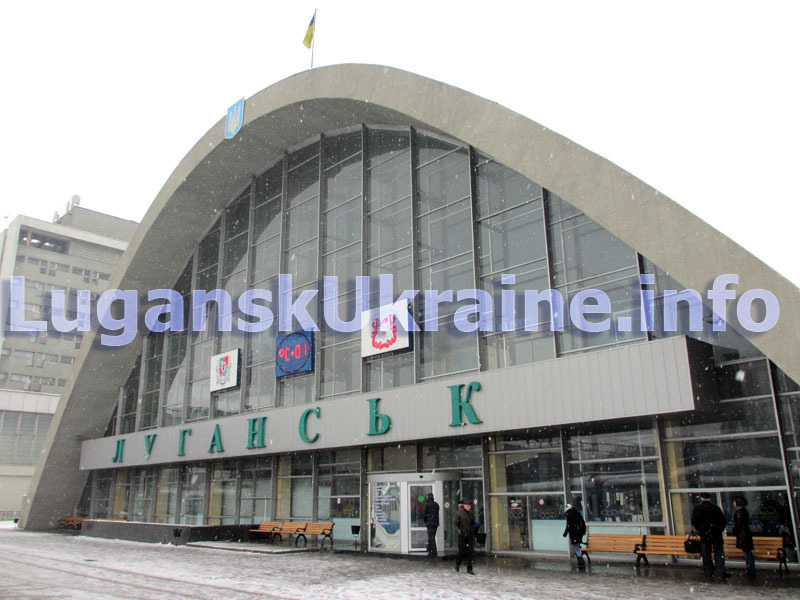 On September 21 2014 rail road connection was restarted between Kiev and Lugansk and the train from Kiev departure at 18:56, it arrived Lugansk today (Sept 22) at 11:48. The train was full, all tickets were sold out in the 1st few hours after Ukrainian Railways company announced the sales! The train number is 520/521. On the way back the train departured from Lugansk at 13:50 and will arrive Kiev at 7:59 next morning. This is going to be everyday train. 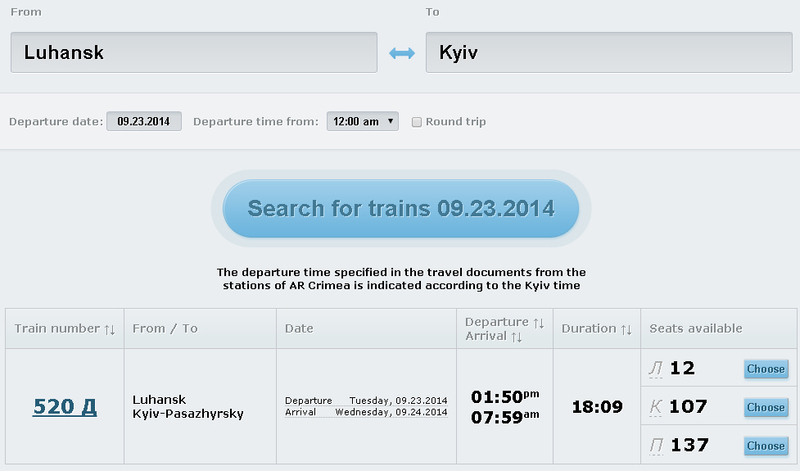 If there will be demand, Ukrainian Railways company will make the train longer, so more tickets will be available. On the train’s arrival, armed terrorists of “Lugansk People Republic” blocked the territory and searched everybody who were getting out of the train. Relatives who came to meet their families were pushed back. The train goes through these stations: Rodakive, Sentyanivka, Siversk, Krasniy Lyman, Svyatogirsk, Izyum, Kharkiv, Lyubotin, Poltava, Reshetylivka, Gogoleve, Mirgorod, Rodaman, Lubny, Grebinka. But right now it’s almost impossible to get a ticket. Everything is sold out till October 1 2014. And there are a lot of tickets available on the way back from Lugansk to Kiev. The price starts from 103.04 UAH (about 8 USD) one way for the cheapest 3rd class, 241.28 UAH (about 18 USD) for the 2nd class and 634.41 UAH (about 48 USD) for the 1st class.